Coffence is a high intensity combat game for 2 to 4 players combining the elegance of fencing with the pleasure of enjoying a delicious coffee. In Coffence, each player has a half-full cup of coffee that he must protect from the assaults of his opponents. Each blow received ejects the precious liquid into the air and the first player who succeeds in grabbing it can add it to his cup. When a player finds himself without coffee, he has a chance to catch the last tasting in flight to regain some coffee, if he fails, he loses. 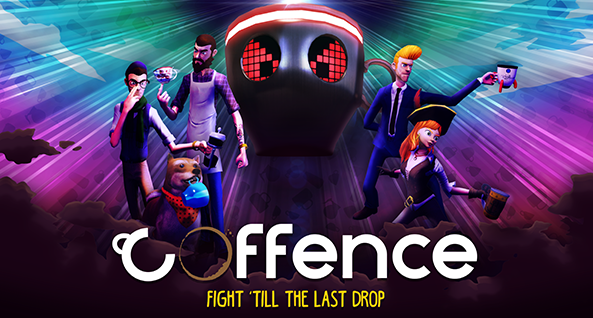 Coffence stands out from the other fighting games on the market by the ease of use of its controls and the innovative side of being able to steal the "life" of its opponent at all times. All of this has the effect of creating strong matches in twists and strategic choices. Indeed, in addition to being the player's life, coffee can be consumed to unlock extremely powerful powers such as slowing down time or controlling his cup by thinking. Players must therefore manage the use of coffee wisely to overcome their opponents. Another essential element of Coffence's DNA is, of course, humor. Players can compete in environment as different as the Middle Ages, space or even the most normal office tower. Each environment offers to the fighting its own challenges and touch of absurdity. Each of these arenas responded to cup strokes by smashing decorative elements from the window to the chickens. Who said that the coffee break should be annoying? Three ex-Activision employees Philippe Pelletier Baribault, Eric Guigue and Charles Dufour founded the Sweet Bandits studios in 2016. Determined to become a worldwide reference in online multiplayer games influenced by the community, they developed a partnership with the Amazon Lumberyard team, which are the new pioneers in this gaming sector. 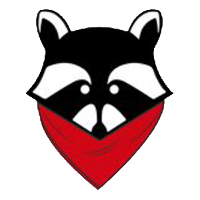 Strong with their experience and their vast network connections, the Sweet Bandits studios want to unite the best local talent to build a strong team and to deliver the best multiplayer games worldwide.